Relax by the water at Cable Beach and Reddell Beach. Escape the urban bustle at Dolphin & Whale Watching and Gantheaume Point. Spend the 4th (Fri) wandering through the wild on a nature and wildlife tour. There's still lots to do: identify plant and animal life at Malcolm Douglas Crocodile Park and Animal Refuge, get engrossed in the history at Broome Historical Museum, stroll the grounds of Japanese Cemetery, and examine the collection at SSJG Heritage Centre. To see reviews, where to stay, other places to visit, and other tourist information, go to the Broome trip itinerary planner. London, UK to Broome is an approximately 25-hour flight. The time zone difference moving from Greenwich Mean Time (GMT) to Australian Western Standard Time (AWST) is 8 hours. 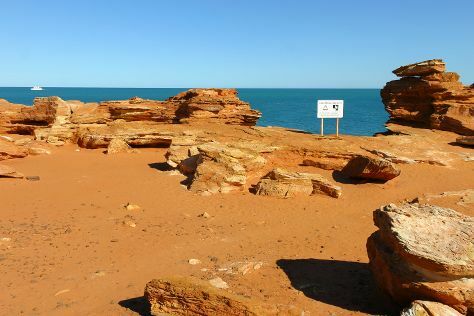 Prepare for much warmer weather when traveling from London in October: high temperatures in Broome hover around 39°C and lows are around 28°C. Cap off your sightseeing on the 6th (Sun) early enough to travel to Darwin. Visiting Fishing Charters & Tours and Magnetic Termite Mounds will get you outdoors. Eschew the tourist crowds and head to Speed Boats Tours and Food Tours. Step out of Darwin to go to Batchelor and see Litchfield National Park, which is approximately 1h 20 min away. Spend the 8th (Tue) wandering through the wild on a nature and wildlife tour. It doesn't end there: take an unforgettable tour with a helicopter tour and see the interesting displays at Defence of Darwin Experience. For ratings, maps, more things to do, and other tourist information, refer to the Darwin trip maker app . Traveling by flight from Broome to Darwin takes 6 hours. Alternatively, you can drive; or take a bus. Due to the time zone difference, you'll lose 1 hour traveling from Broome to Darwin. In October, daily temperatures in Darwin can reach 39°C, while at night they dip to 28°C. Wrap up your sightseeing on the 11th (Fri) to allow time to travel to Port Douglas. Get in touch with nature at Opal Reef and Agincourt Reef. Eschew the tourist crowds and head to Daintree National Park and Spas. Spend the 13th (Sun) spotting exotic species with a safari tour. Spend the 12th (Sat) among aquatic life with a scuba or snorkeling tour. There's more to do: identify plant and animal life at Hartley's Crocodile Adventures and stop by With Sugar. To find maps, traveler tips, photos, and other tourist information, read Port Douglas trip itinerary maker app . You can do a combination of flight and shuttle from Darwin to Port Douglas in 5.5 hours. Alternatively, you can drive; or take a bus. Expect slightly colder temperatures when traveling from Darwin in October; daily highs in Port Douglas reach 34°C and lows reach 23°C. Finish your sightseeing early on the 16th (Wed) to allow enough time to drive to Cairns. Popular historic sites such as Historic Village Herberton and St Monica's Cathedral are in your itinerary. We've included these beaches for you: Trinity Beach and Palm Cove Beach. Explore Cairns' surroundings by going to The Afghanistan Avenue of Honour (in Yungaburra), Spas (in Palm Cove) and Australian Butterfly Sanctuary (in Kuranda). Spend the 19th (Sat) wandering through the wild on a nature and wildlife tour. Spend the 17th (Thu) among aquatic life with a scuba or snorkeling tour. Next up on the itinerary: let the river carry you with a rafting and tubing tour. Plan a Cairns trip in moments using our itinerary builder. Traveling by car from Port Douglas to Cairns takes 1.5 hours. Alternatively, you can take a bus; or take a shuttle. Expect a daytime high around 34°C in October, and nighttime lows around 24°C. Wrap up your sightseeing on the 21st (Mon) early enough to travel to Port Macquarie. Your inner history buff will appreciate Tacking Point Lighthouse and Smoky Cape Lighthouse. Explore hidden gems such as Dolphin & Whale Watching and Coastal walk. Explore Port Macquarie's surroundings by going to Trial Bay Gaol (in South West Rocks), The Green Cathedral (in Elizabeth Beach) and Elizabeth Beach (in Blueys Beach). It doesn't end there: explore the wealth of natural beauty at Sea Acres Rainforest Centre Port Macquarie and identify plant and animal life at Koala Hospital. To find where to stay, traveler tips, more things to do, and more tourist information, go to the Port Macquarie trip itinerary planning site . Traveling by flight from Cairns to Port Macquarie takes 7 hours. Alternatively, you can do a combination of flight and bus; or drive. Expect colder weather when traveling from Cairns in October: highs in Port Macquarie hover around 20°C, while lows dip to 17°C. Finish your sightseeing early on the 25th (Fri) to allow enough time to travel to Sydney. Relax by the water at Bondi Beach and Manly Beach. Get outdoors at Wentworth Falls and The Opera House to the Botanic Gardens Walk. Explore Sydney's surroundings by going to Hazelbrook Cottage Antiques (in Hazelbrook) and Blue Mountains (in Katoomba). The adventure continues: take a stroll through The Rocks, admire the natural beauty at Royal Botanic Garden Sydney, listen to music at Sydney Opera House, and take in the views from Sydney Harbour Bridge. To see more things to do, ratings, maps, and tourist information, you can read our Sydney itinerary planner . You can fly from Port Macquarie to Sydney in 3.5 hours. Alternatively, you can drive; or do a combination of bus and flight. Traveling from Port Macquarie in October, you will find days in Sydney are somewhat warmer (28°C), and nights are about the same (17°C). Finish your sightseeing early on the 29th (Tue) so you can travel to Hobart. You'll explore the less-touristy side of things at Battery Point Sculpture Trail and Tasmanian Devil Unzoo. 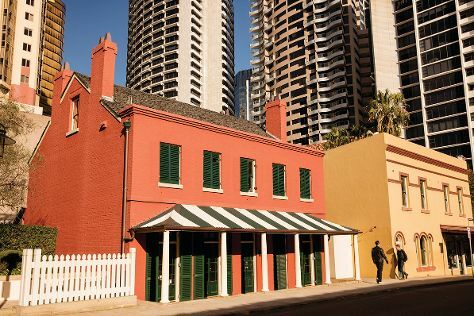 Deepen your sense of the past at sights like Cascade Brewery and Richmond Gaol. 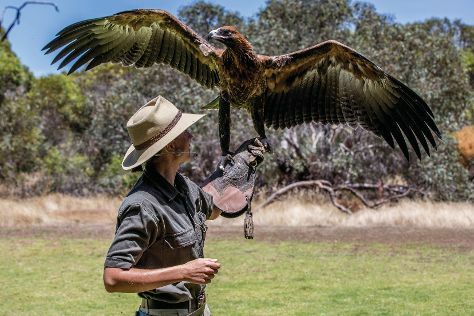 Change things up with these side-trips from Hobart: Bonorong Wildlife Sanctuary (in Brighton) and Tessellated Pavement (in Eaglehawk Neck). On the 1st (Fri), give your taste buds a day to remember with a local gastronomic tour. There's much more to do: steep yourself in history at Hobart Convict Penitentiary, examine the collection at Mawson's Hut Replica Museum, snap pictures at Richmond Bridge, and grab your bike and head to The Pipeline Track. 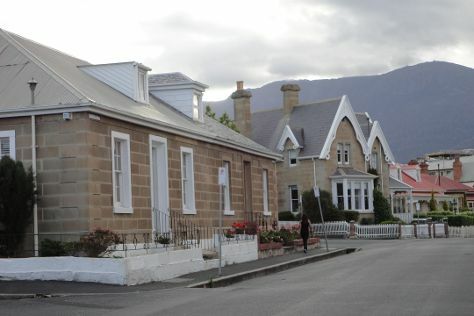 For photos, maps, more things to do, and other tourist information, use the Hobart day trip planning app . Fly from Sydney to Hobart in 4.5 hours. Alternatively, you can do a combination of train, ferry, and bus; or do a combination of bus and ferry. In October, Hobart is little chillier than Sydney - with highs of 20°C and lows of 9°C. Finish up your sightseeing early on the 3rd (Sun) so you can travel to Port Campbell. Port Campbell is a coastal town in Victoria, Australia. Get outdoors at Mait's Rest and Loch Ard Gorge. 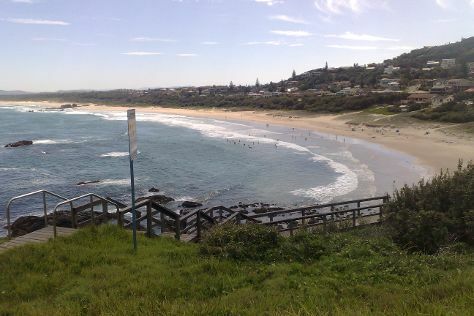 We've included these beaches for you: Johanna Beach and Port Campbell precinct and foreshore. When in Port Campbell, make a side trip to see Great Ocean Road in Apollo Bay, approximately 1h 15 min away. 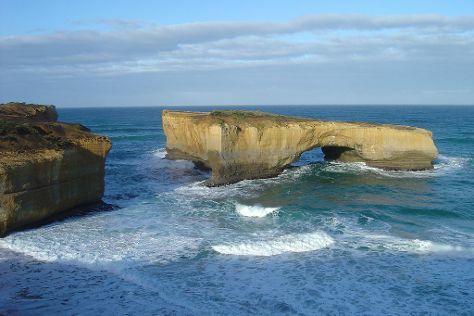 Spend the 5th (Tue) exploring nature at Port Campbell National Park. And it doesn't end there: explore the striking landscape at London Bridge, look for all kinds of wild species at Childer's Cove, take some stellar pictures from Twelve Apostles, and admire all the interesting features of Gibsons Steps. To find traveler tips, maps, reviews, and more tourist information, refer to the Port Campbell attractions planning tool . You can do a combination of flight, train, and bus from Hobart to Port Campbell in 10 hours. Alternatively, you can do a combination of car and ferry. Finish your sightseeing early on the 8th (Fri) to allow enough time to travel to Kangaroo Island. Step off the beaten path and head to Hanson Bay Wildlife Sanctuary and Paul's Place Wildlife Sanctuary. Take a break from the city and head to Admirals Arch and Raptor Domain. Spend the 10th (Sun) exploring nature at Flinders Chase National Park. Spend the 13th (Wed) exploring nature at Kangaroo Island Wilderness Trail. Next up on the itinerary: look for all kinds of wild species at Kelly Hill Caves and take some stellar pictures from Cape du Couedic Lighthouse. To see maps, traveler tips, other places to visit, and other tourist information, go to the Kangaroo Island journey maker site . Traveling by combination of car and ferry from Port Campbell to Kangaroo Island takes 10.5 hours. Alternatively, you can do a combination of bus, train, and flight; or do a combination of bus and flight. Finish your sightseeing early on the 13th (Wed) to allow enough time to travel to Albany. Take a break from the city and head to Dolphin & Whale Watching and Tree Top Walk. Step off the beaten path and head to Little Beach and Nanarup Beach. Explore the numerous day-trip ideas around Albany: Mandalay Beach (in Walpole), Greens Pool (in Denmark) and The Denmark Heritage Cider Company (in Scotsdale). And it doesn't end there: enjoy the sand and surf at Middleton Beach, see the interesting displays at National Anzac Centre, take in the dramatic natural features at The Gap and Natural Bridge, and take an in-depth tour of Albany's Historic Whaling Station. For where to stay, more things to do, photos, and other tourist information, read Albany attractions planning tool . Getting from Kangaroo Island to Albany by flight takes about 9 hours. Other options: do a combination of flight and bus. The time zone changes from Australian Central Standard Time (South Australia) (ACST) to Australian Western Standard Time (AWST), which is usually a -1 hour difference. November in Albany sees daily highs of 25°C and lows of 12°C at night. Wrap up your sightseeing on the 18th (Mon) early enough to drive to Margaret River. Visit Meelup Beach and Yallingup Beach for some beach relaxation. Shop till you drop at JahRoc Galleries and Moon Haven Natural Products. Venture out of the city with trips to Yallingup (Ngilgi Cave & Canal Rocks), Augusta (Jewel Cave & Cape Leeuwin Lighthouse) and Dolphin & Whale Watching (in Busselton). And it doesn't end there: let your taste buds guide you at a local gastronomic tour, take a memorable drive along Caves Road, look for all kinds of wild species at Sunflowers Animal Farm, and kick back and relax at Surfers Point. 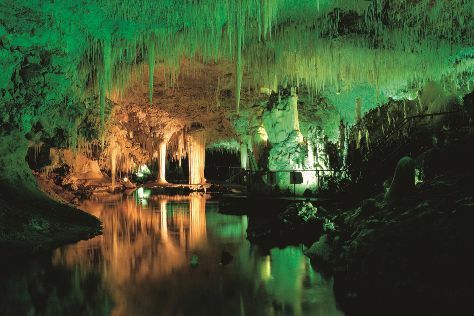 For reviews, traveler tips, photos, and other tourist information, read Margaret River sightseeing planner. Traveling by car from Albany to Margaret River takes 4.5 hours. Alternatively, you can take a bus; or do a combination of flight and bus. Wrap up your sightseeing on the 28th (Thu) to allow time to travel back home.